30/123 David Mumpower Really good heist flick in spite of Paul Walker. Rap star TI is a revelation as Ghost. 139/190 Max Braden It's like the movie wanted to be Heat for a new generation, and with a momentary pause when they decided to go all Jason Bourne with Chris Brown. That could be a good movie, actually. Takers tells the oh-so-conventional story of a $20 million bank robbery, and a police detective’s attempts at foiling it. It stars Matt Dillon as the detective, Hayden Christensen as his protege, and Paul Walker as the bank robber in charge. Okay, let’s just deal with the elephant in the room right up front. Walker and Christensen are two actors who, in the scant few years since the millennium, have distinguished themselves by being considered among the most wooden and dull of their respective generations. Both gained notoriety in dubious hit franchises - Christensen in the Star Wars prequels, and Walker in the first two Fast and Furious films. And both have endured critical slings and arrows of almost vicious proportions. To be fair, Christensen has gotten a few positive notices in film like Life as a House and Shattered Glass, but in general, both actors really are the bane of critics. And, for that matter, neither really tears it up at the box office either, outside of their respective franchises. Walker’s recent output includes Flags of our Fathers ($33.6 million), Running Scared ($6.86 million), and Into the Blue ($18.5 million). Christensen hasn’t done any better with Awake ($14.4 million), Factory Girl ($1.6 million), and Shattered Glass ($2.21 million) to his credit. Granted, each has an $80 million earner on his resume (Christensen’s Jumper and Walker’s Eight Below), and you’d better believe Screen Gems will be noting those titles in their marketing. 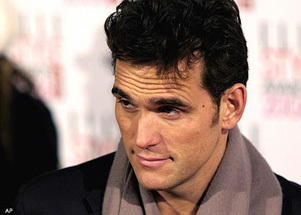 On the other hand, the film might just have a minor stealth weapon on its hands with Matt Dillon. A former '80s icon turned Oscar nominee for Crash, Dillon has become a bit of a respected name over the past few years. The thing is, despite acclaim in films like Crash, he still takes roles in such hokum as You, Me and Dupree, and Herbie Fully Loaded. For that matter, his only real unqualified blockbuster is There’s Something About Mary, which grossed $176 million over 12 years prior to Takers' release. Then there’s the director, John Luessenhop. Who? Exactly. Okay, I’ll tell you. He directed Lockdown, a $449,000 grosser from 2000. So, I repeat…who? See the latest developments for this project on the Takers Movie News page.